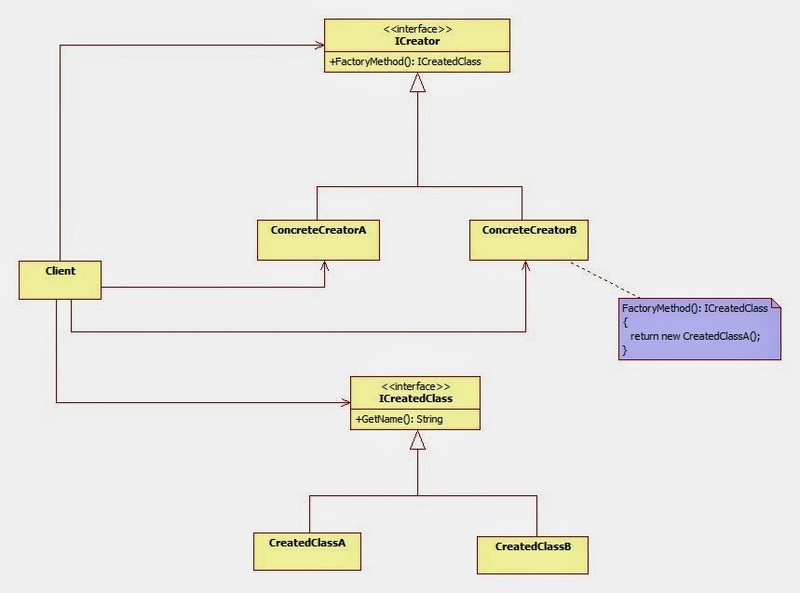 First, i wish publish code and class diagram, and use it as a reference after. About class diagrams: while first is more simple, clear and understandable, the second closer to real life - there can be seen who should know about who. Factory Method, like Simple Factory, served the client for creating objects without knowledge about objects, only about its interface. 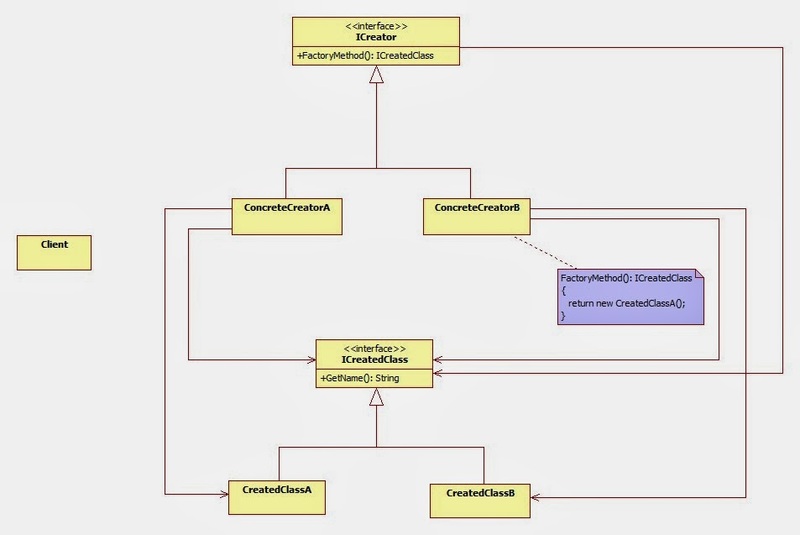 So, instantiation of objects is encapsulated. But, there is some differences between Factory Method and Simple Factory. There some minor differences, like static method in Simple Factory etc. The really goal, IMHO, Factory Method do not violates Open-Closed Principle. As a developer, you can add pairs (pair, because if add Created class need add Creator class too. In current design) of classes without need to change other classes. For example, let's think about CPU Factory Method. Approach of adding new type of CPU (for example ARM) is different in Simple Factory and Factory Method. 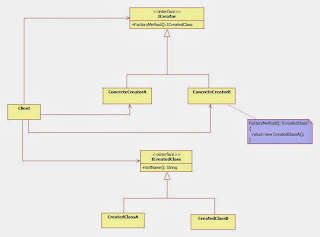 In Simple Factory i need add enum and change factory class (in switch statement i should add new case, so it Open-Closed Principle violation). 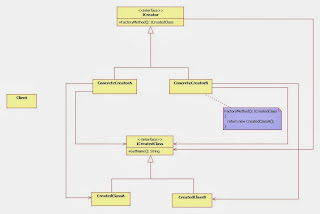 In Factory Method i only add pairs of classes (one implements ICreator and other implements ICreatedClass), without change other classes (Fig 1). So, here both patterns are same +-.